Bristol Law Society is a private members’ local law society of about 4500 which represents and supports the local legal community. Membership is renewable annually and is open to all solicitors, barristers, trainee solicitors, pupil barristers and F/CILEX members who are entitled to join as Associates Members if not eligible for full membership. For more information see About Us. To apply to join, you must have a proposer and seconder who are members of Bristol Law Society. If you do not know a member of BLS and wish to join, please do contact us and we will assist in finding requisite members on council who can support your application. All cheques should be sent to the office and made payable to Bristol Law Society or we can invoice you. 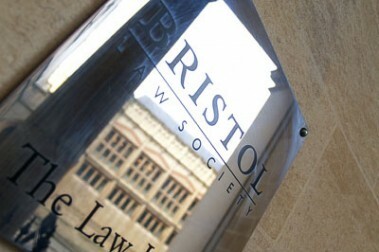 If you have any queries, please contact us at membership@bristollawsociety.com. Membership confers a number of benefits including access to various special offers and special rates to attend BLS events. Members receive the Bristol Law Society monthly news and views magazine, Legal Life. Membership Form 2018-19 – Full – and return to the BLS Office. Membership Form 2018-19 – Associate – and return to the BLS Office. Membership Form 2018-19 – Associate (students) – and return to the BLS office. □ Corporate Rate – available on request. □ Barrister [ £100.00 p.a ]. □ Trainee or chartered legal executive; paralegal or legal assistant; licensed conveyancer; registered foreign lawyer; etc [ £40.00 p.a. ]. □ Retired or employed by a recognised provider of legal education [ £30.00 p.a. ]. □ Trainee Solicitor; Pupil or Trainee Barrister; Undergraduate or post graduate student [ FREE ]. Cheques should be made payable to Bristol Law Society Limited and sent to the BLS Office. Bank details for BACS payments are included on all invoices which are available upon request.